the local list: It always comes back to the burger. As a Friday treat, one of my old roommates took my boyfriend and I out to Umami for dinner. 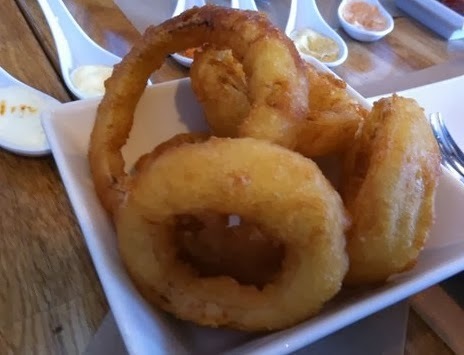 Now I have been to Umami before, and I honestly wasn't impressed (to the point I bad mouthed it.) Well on Friday, I ate my words...and a lot of good food too. Gourmet burgers are usually disappointing. Last time I got a truffle burger, and while it was good, it was small and just okay. This time I asked the waiter what he recommended - the Manly Burger. I am SO glad I asked him because it was phenomenal! 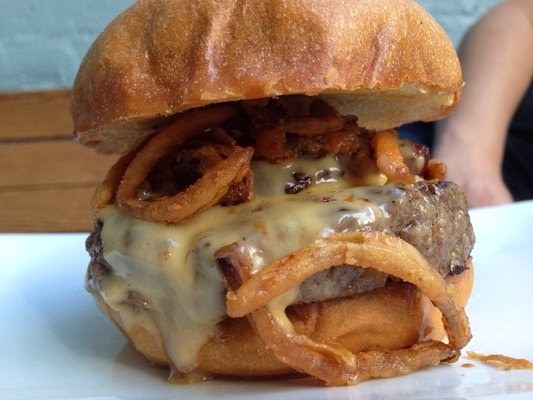 It's a beef burger with, get ready for it, bacon lardon (think huge slices of the fattiest bacon slices), beer-cheddar cheese, and smoked-salt onion rings. 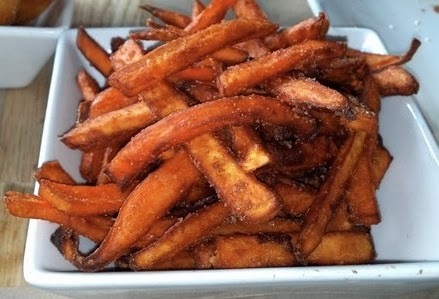 Of course I also ordered some sweet potato fries and an Ommegang Amber to wash it all down. The truffle fries are also great, and the craft beer selection is wonderful. They supposedly have good dessert but we were too full to even think about eating something more. The burgers ARE expensive though and the size isn't anything special. For those hungry people they do have a double-double! Labels: Best Burger, Best of Series, Costa Mesa, The Weekend Update, Weekend Wrap Up, What's for Dinner? Ummmm ... 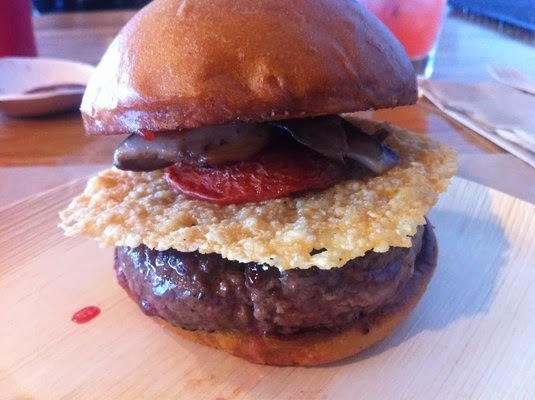 I did not know there was a Umami burger in Costa Mesa. This OC girl previously found them in WLA. I am so in for lunch. Yes they seem at first to be on the "small" side. but really make a nice meal without that blub blub of a Forks Burger. Nothing can beat a Forks burger! I also feel bad about this post because Umami is across from TK Burger, also a great place to eat! But all the trendy kids like Umami and I had been hating on it for so long that I had to give it another shot.